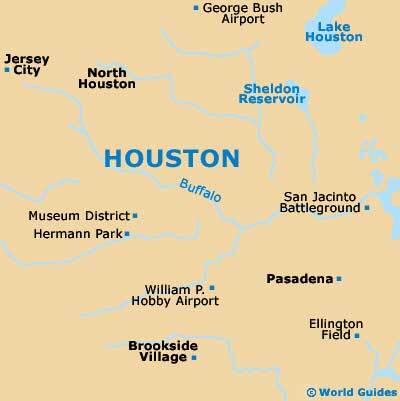 Houston boasts tens of thousands of modern and ancient works of art within its galleries, some of which reside in impressive buildings. 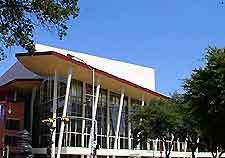 The most prominent of these is without question the Houston Museum of Fine Arts on Bissonnet Street, reputed to be the best in the state for its quality masterpieces and variety of styles. European art also plays a part in the galleries at the much-lauded Museum of Fine Arts's Rienzi Center for European Decorative Arts, while Rice University and Rothko Chapel are two other notable venues loaded with artistic delights. A vibrant non-profit exhibition space in downtown Houston specialising in contemporary art works, the Lawndale Art Center is another gallery with much credibility and was established in 1979. In total, the Lawndale comprises three individual galleries and is based within a beautiful Art Deco building. Each year, some 500 artists exhibit their works here, with roughly 20 exhibitions being staged. This renovated and comfortable art-deco building originally opened in 1930 and today houses the contemporary Lawndale Art Center, with its four galleries that are mainly devoted to local artists. There are several excellent events and parties held here throughout the year, such as the Cinco de Mayo (Hair Ball) where all artists who live within a 100-mile / 160-km radius of Houston get an invite. Founded in 1900 and now consisting of two gallery buildings and some stunning grounds, the Houston Museum of Fine Arts is the best public arts museum in Texas and houses over 40,000 pieces, with a noticeable focus on Baroque and Renaissance art, impressionist and post-impressionist works, and 19th- and 20th-century American art. The two buildings are connected by a tunnel, with the new Audrey Jones Beck building being especially grand and well worth a visit. Located in the appealing and highly cultural museum district of Houston, next to Hermann Park and close to the Rice University, the Contemporary Arts Museum houses many interesting avant-garde exhibitions of modern art and design, within a snazzy aluminum-clad structure. Located on the Rice University campus, this gallery is loaded with contemporary visual art by known US and international artists. The famous 'Venus' painting is easy to find as it is situated in Sewall Hall, near Founder's Court and the main entrance of this attractive university. There are also many intriguing works on display, together with various student offerings. Situated in a somber building with reflection pool and obelisk outside, the Rothko Chapel stands next to the University of St. Thomas and near to the Byzantine Fresco Chapel Museum, where it houses works exclusively by abstract artists. Attractions include 14 huge canvas panels of primitive art serving as inspiration, whilst also creating the perfect meditative environment.